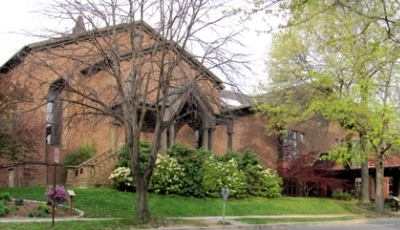 Russell Library, 123 Broad St. in Middletown has hours: Mondays 10am – 6pm; Tuesdays 10am – 8pm; Wednesdays 1pm – 8pm; Thursdays 10am – 8pm; Fridays 10am – 6pm; Saturdays 10am - 2pm. The library is closed Monday, May 29 for Memorial Day. In the lobby case throughout May. Russell Library, 123 Broad Street, Middletown. This exhibit from the Independent Day School in Middlefield includes clay pieces from students in kindergarten through eighth grade completed under the guidance of IDS art teacher Madeleine Smith. In the lobby and alcove galleries. Russell Library, 123 Broad Street, Middletown. In celebration of the upcoming Tenth Annual Middletown Summer Hoopfest, an exhibit of photos from the nine previous years will be decorating the lobby and alcove galleries. The photos, all taken by photographer Tony Donovan, show basketball at its best. Producers Malik Pemberton and Tony Donovan have collected many memories over the years. The outdoor tournament has included players from all over Connecticut. Each year many players return, some older players becoming role models for the younger ones. On May 20th Russell Library and the Middletown Summer Hoopfest will host a reception in the lobby of the library. All are welcome. Throughout May, Second floor galleries. In order to commemorate the 100th anniversary of America’s entry into World War I, Russell Library presents a collection of original posters from the library’s collection. Participate any day, any time, from the comfort of your own computer. Register and log in for this online writing group where you can post your work for critique, provide feedback for your fellow Russell Writers, exchange ideas and tips, and participate in the monthly writing prompts. Go to: http://russellwriters.freeforums.net. Beginning and experienced writers welcomed! For more information, contact Michele Rousseau at shellywriter@sbcglobal.net. Mondays, May 1, 8, 15, 22, 10:30am. Activity Room, Russell Library, 123 Broad Street, Middletown. Play, craft, music, stories and more for one-year-olds and their caregivers. Monday, May 1, 9:00am to 5:00pm. The Hubbard Room, Russell Library, 123 Broad Street, Middletown. Youth Mental Health First Aid is designed to teach parents, family members, caregivers, teachers, school staff, peers, neighbors, health and human services workers, and other caring citizens how to help an adolescent (age 12-18) who is experiencing a mental health or addictions challenge or is in crisis. Youth Mental Health First Aid is primarily designed for adults who regularly interact with young people. The course introduces common mental health challenges for youth, reviews typical adolescent development, and teaches a 5-step action plan for how to help young people in both crisis and non-crisis situations. Topics covered include anxiety, depression, substance use, disorders in which psychosis may occur, disruptive behavior disorders (including AD/HD), and eating disorders. Registration is required. Call (860) 347-2520. Participants should bring their own lunch; beverages will be provided. Tuesdays, May 2, 9, 16, 23, 30, 10:30am. Activity Room, Russell Library 123 Broad Street, Middletown. Play, craft and circle time for two-year-olds and their caregivers. Twos Are Terrific will be held in the Hubbard Room on Tuesday, May 9. Tuesday, May 2, 12:00pm – 2:00pm. The Hubbard Room, Russell Library, 123 Broad Street, Middletown. The Boys of ‘36 is the thrilling story of the American Olympic rowing team that triumphed against all odds in Nazi Germany. This event is part of One Book on the Riverbend series of events. One Book on the Riverbend is composed of various organizations, schools, and public libraries of Cromwell, Portland and Middletown, Connecticut. Its mission is to promote literacy and community by the joy of sharing a good book. The book for 2017 is The Boys in the Boat: Nine Americans and Their Epic Quest for Gold at the 1936 Berlin Olympics by Daniel James Brown. Copies of the books have been purchased with the generosity of the Rotary Club of Middletown. Books may also be borrowed at the libraries, online or at the circulation desk. A wide range of programs are being planned to dovetail with the themes which are integral to the story. For more information about how your book group or organization may get involved, contact Christy Billings, cbillings@russelllibrary.org or call (860) 347-2520. Tuesday, May 2, 6:00pm – 7:45pm. Join us for a discussion of The New Jim Crow: Mass Incarceration in the Age of Colorblindness by Michelle Alexander. In the era of colorblindness, it is no longer socially permissible to use race, explicitly, as a justification for discrimination, exclusion, and social contempt. Yet, as legal star Michelle Alexander reveals, today it is perfectly legal to discriminate against convicted criminals in nearly all the ways that it was once legal to discriminate against African Americans. Once you’re labeled a felon, the old forms of discrimination: employment discrimination, housing discrimination, denial of the right to vote, denial of educational opportunity, denial of food stamps and other public benefits, and exclusion from jury service are suddenly legal. Copies of the book will be available at the check-out desk. For more information, contact Christy Billings by emailing cbillings@russelllibrary.org or by calling 860-347-2528 Ext 122. This book club is open to anyone and will meet regularly with a new book each month. No registration is necessary. The Racial Justice Book Club is in partnership with the Middletown Racial Justice Community. Wednesdays, May 3, 10, 17, 24, 31, 1:30pm Activity Room, Russell Library, 123 Broad Street, Middletown. Join us for an afternoon of stories, rhymes and play for babies, birth to twelve months, and their caregivers. Thursdays, May 11, 18, 25, 10:30am. Activity Room, Russell Library, 123 Broad Street, Middletown. Join us for a morning of stories, rhymes and play for babies, birth to twelve months, and their caregivers. Thursdays, May 4, 11, 18, 25, 1:30pm. Activity Room, Russell Library 123 Broad Street, Middletown. Stories, rhymes and other literacy fun for ages 3-5 and their caregivers. Monday, May 8, 10:30am. The Hubbard Room, Russell Library, 123 Broad Street, Middletown. Do you love reading? Or are you a struggling reader? Members of the Teen Advisory Council will help you learn to love reading or continue to love reading by being YOUR Reading Buddy! Bring your own favorite books or come find one in the library. Your Reading Buddy will give you a book to go home with! This program is for kids ages 3-10. Registration is required, in person or by phone, (860)-344-8479. Tuesday, May 9, 12:00pm – 2:00pm. The Hubbard Room, Russell Library, 123 Broad Street, Middletown. Join us for a viewing of Dashiell Hammett's romantic comedy of manners, The Thin Man (1934), starring William Powell and Myrna Loy. When a wealthy inventor goes missing, his daughter calls in wisecracking detective-turned-socialite Nick Charles to find him. Aided by his clever and charming wife Nora, Nick searches for answers amidst martinis and night club romps. Run time 1 hour 31 minutes. Not Rated. Tuesday, May 9, 6:30pm – 8:00pm. Meeting Room 3, Russell Library, 123 Broad Street, Middletown. Young and old are invited to take part in this discussion focusing on The Boys in the Boat: Nine Americans and Their Epic Quest for Gold at the 1936 Berlin Olympics by Daniel James Brown. A young readers adaptation is also available. This event is part of One Book on the Riverbend series of events. One Book on the Riverbend is composed of various organizations, schools, and public libraries of Cromwell, Portland and Middletown, Connecticut. It's mission is to promote literacy and community by the joy of sharing a good book. The book for 2017 is The Boys in the Boat: Nine Americans and Their Epic Quest for Gold at the 1936 Berlin Olympics by Daniel James Brown. Copies of the books have been purchased with the generosity of the Rotary Club of Middletown. Books may also be borrowed at the libraries, online or at the circulation desk. A wide range of programs are being planned to dovetail with the themes which are integral to the story. For more information about how your book group or organization may get involved, contact Christy Billings, cbillings@russelllibrary.org or call (860) 347-2520. Tuesday, May 9, 6:30pm - 7:50pm. Meeting Room 2, Russell Library, 123 Broad Street, Middletown. We will discuss “The School” by Donald Barthelme from the collection 100 Years of the Best American Short Stories. Discussions are based on the Great Books Foundation method in which readers talk in open gatherings, under a leader, about the great issues that have shaped civilization as reflected in the readings. The group meets the second Tuesday of each month from 6:30 – 7:50 pm in Meeting Room 2 at Russell Library, 123 Broad Street, Middletown. For more information about participating in the group or acquiring the text, contact Chantal Foster at (860) 573-2946 or email Chantal.foster@comcast.net. Wednesday, May 10, 6:00pm – 8:00pm. The Hubbard Room, Russell Library, 123 Broad Street, Middletown. A group of Sudanese refugees given the chance to resettle in America arrive in Kansas City, Missouri, where their encounter with an employment agency counselor forever changes all of their lives. Run time: 1 hour, 52 minutes. Thursdays, May 11, 18, 25, 6:30pm. Meeting Room 2, Russell Library, 123 Broad Street, Middletown. On May 4th, the group will be attending a performance of Letters from Italy at the Bushnell. This writing series invites Veterans to share their stories and photos in their own voices. All Veterans, either active or retired, are encouraged to come and share their experiences for their own benefit or to share with family and friends. Recently members of this group contributed writings to a mural in the City Hall Council Chambers honoring Vietnam Veterans and have had their works featured in Subway Ride, a Wesleyan magazine publication. Thursday, May 11, 7:00pm. The Hubbard Room, Russell Library, 123 Broad Street, Middletown. Reader’s Theater is live drama enacted by local actors. Tonight's play is Disgraced by Ayad Akhtar Akhtar puts contemporary attitudes toward religion under a microscope, revealing how tenuous self-image can be for people born into one way of being who have embraced another. A bold exploration of race, culture, and what it means to be Muslim in post-9/11 America. Directed by Anne Cassady and Richard Kamins. The Friends of the Russell Library Book Sale! Friday, May 12, 10:00am – 6:00pm; Saturday, May 13, 10:00am - 2:00pm. Activity Room, Russell Library, 123 Broad Street, Middletown. Come support your library by purchasing a pre-owned book!. But there are more! All sorts of books, CDs and DVDs will be available! For adults as well as for children! Helping the library with funding for a wide variety of programs, The Friends of the Russell Library is one of the best volunteer organizations in Middletown. Their book sales are one of the best places to find bargains and feel good about the money you spend. The Friends play a vital role in the Library’s ability to provide programs and activities for the enrichment of the community. Revenue from book sales, membership and donations is used to support special public programs for children, teens, and adults: concerts, cultural history, financial literacy, film festivals, book discussions, writing groups, and much more. To volunteer, call 860-347-2528 ext. 124. You may also fill out an application form available in the library lobby or on-line at www.russelllibrary.org. To donate books for Friends’ book sales simply drop them off in the library lobby. Tuesday, May 16, 6:30 pm. Activity Room, Russell Library 123 Broad Street, Middletown. Explore the Japanese art of paper folding. Tuesday, May 9, 6:30pm – 8:00pm. Meeting Room 2, Russell Library, 123 Broad Street, Middletown. Please join us as we discuss The Boys in the Boat: Nine Americans and Their Epic Quest for Gold at the 1936 Berlin Olympics by Daniel James Brown. Brown tells the story of the University of Washington’s 1936 eight-oar crew and how the team raced its way to the Berlin Olympics. The team of working class boys defeated the elite teams from other universities, and faced off with the German crew rowing for Adolf Hitler in the Berlin Olympics of 1936. This event is part of One Book on the Riverbend series of events. One Book on the Riverbend is composed of various organizations, schools, and public libraries of Cromwell, Portland and Middletown, Connecticut. It's mission is to promote literacy and community by the joy of sharing a good book. The book for 2017 is The Boys in the Boat: Nine Americans and Their Epic Quest for Gold at the 1936 Berlin Olympics by Daniel James Brown. Copies of the books have been purchased with the generosity of the Rotary Club of Middletown. Books may also be borrowed at the libraries, online or at the circulation desk. A wide range of programs are being planned to dovetail with the themes which are integral to the story. Thursday, May 18, 7:00pm. The Hubbard Room, Russell Library, 123 Broad Street, Middletown. In this concert, The Peggy Stern Trio explores the Great American Songbook - a timeless soundtrack written almost entirely by Jews, which gave voice to a saga of love, determination, and assimilation. A few examples include: Cheek to Cheek, My Romance, White Christmas, Embraceable You, Easter Parade, Stormy Weather, and dozens of other songs we all know and love. Peggy Stern is well known as a composer, with four of her tunes featured in Sher Music’s Real Book series. Most recently she was featured at the Mary Lou Williams Women in Jazz Festival at the Kennedy Center. She is joined in this concert by bassist Rich Syracuse and saxophonist George De Leon. George De Leon is the tenor saxophonist in the house band of the Art Directors Club, NYC. During the 1970s, he shared the stage with guest artists including Roy Eldridge, Teddy Wilson, Zoot Sims and Joanne Brackeen. As producer of the ' Jazz vs. Junk” series at Phoenix House drug rehabilitation center he led the house band that included Billy Hart, Lyn Christie and Hal Galper with guest headliners such as Clark Terry, Al Cohn, Lee Konitz and Phil Woods. Rich Syracuse has been a mainstay in the New York area scene for more than three decades. He has performed with numerous jazz groups which included pianists John Mehegan, Joey Calderazzo, and Ted Rosenthal. He is the bassist in the 'Nick Brignola Quartet' playing at numerous clubs, festivals, and participating in many recording sessions. This concert is sponsored by The Friends of the Russell Library and the Arthur & Edythe Director Family Fund of Congregation Adath Israel. Friday, May 19, 1:00pm. The Hubbard Room, Russell Library, 123 Broad Street, Middletown. Middletown's Poet Laureate Susan Allison will be discussing resistance poetry with the community. Participants are invited to bring their favorite poems. Friday, May 19, 10:30am – 11:30am. Activity Room, Russell Library, 123 Broad Street, Middletown. This free, early childhood nutrition program is designed to support parents in establishing healthy eating habits in their young child. Register in person or by calling the Youth and Family Learning Department at 860-344-8479. HIP HOP Workshop: Turntablism with DJ N.E.B. Saturday, May 20, 10:00am – 11:45am. The Hubbard Room, Russell Library, 123 Broad Street, Middletown. One of the four pillars of Hip Hop is 'Turntablism' -- the art of creating music using two turntables and cross-fading from one to the other. In hip hop culture, graffiti represents the visual, 'emceeing' or rhyming was the poetic, the DJ (using turntablism) produced the music, and the b-boys or b-girls danced. In the early days of hip-hop, all of these elements were deeply intertwined. Graf artists were very often b-boys and emcees and DJs as well. This workshop is funded by a grant from the Middletown Commission on the Arts. Saturday, May 20, 10:00am – 11:45am. Activity Room, Russell Library, 123 Broad Street, Middletown. All ages are welcome to participate or just watch as teaching artist and b-boy Bryan Giles demonstrates and teaches the classic movements of breaking and its many variations. In hip hop culture, graffiti represents the visual, 'emceeing' or rhyming was the poetic, the DJ (using turntablism) produced the music, and the b-boys or b-girls danced. This event is made possible by a grant from the Middletown Commission on the Arts. Saturday, May 20, 12:15pm – 2:00pm. Activity Room, Russell Library, 123 Broad Street, Middletown. One of the four pillars of hip hop culture is graffiti art. 'tagging'. Graffiti represents the visual, 'emceeing' or rhyming was the poetic, the DJ (using turntablism) produced the music, and the b-boys or b-girls danced. In the early days of hip-hop, all of these elements were deeply intertwined. In this workshop, participants of all ages are welcome to learn the basics of graffiti art. This series of workshops is funded by the Middletown Commission on the Arts. Saturday, May 20, 12:15pm – 2:00pm. The Hubbard Room, Russell Library, 123 Broad Street, Middletown. Come and learn from Hartford Rap artist Tang Sauce as he teaches the basics of rhyming! Tang Sauce has recently produced an album entitled “Maturity”. One of the four pillars of hip hop is rhyming -- also known as 'flowing' or 'emceeing'. Most of us know the word 'rapping'. Merriam Webster Dictionary defines rapping as a 'Musical style in which rhythmic and/or rhyming speech is chanted ('rapped') to musical accompaniment'. In hip hop culture, graffiti represents the visual, 'emceeing' or rhyming was the poetic, the DJ (using turntablism) produced the music, and the b-boys or b-girls danced. In the early days of hip-hop, all of these elements were deeply intertwined. Graf artists were very often b-boys and emcees and DJs as well. In this workshop, participants of all ages are welcome to learn the basics of rhyming. Saturday, May 20, 11:00am – 1:00pm. The Lobby, Russell Library, 123 Broad Street, Middletown. In celebration of the upcoming Tenth Annual Middletown Summer Hoopfest, an exhibit of photos from the nine previous years will be decorating the lobby and alcove galleries. The photos, all taken by photographer Tony Donovan, show basketball at its best. Producers Malik Pemberton and Tony Donovan have collected many memories over the years. The outdoor tournament has include players from all over Connecticut. Each year many players return, some older players becoming models for the younger ones. All are welcome. Light refreshments will be served. Tuesday, May 23, 6:30pm – 8:00pm. The Hubbard Room, Russell Library, 123 Broad Street, Middletown. The Boys of ‘36 is the thrilling story of the American Olympic rowing team that triumphed against all odds in Nazi Germany. This event is part of One Book on the Riverbend series of events. One book on the Riverbend is composed of various organizations, schools, and public libraries of Cromwell, Portland and Middletown, Connecticut. Its mission is to promote literacy and community by the joy of sharing a good book. The book for 2017 is The Boys in the Boat: Nine Americans and Their Epic Quest for Gold at the 1936 Berlin Olympics by Daniel James Brown. Copies of the books have been purchased with the generosity of the Rotary Club of Middletown. Books may also be borrowed at the libraries, online or at the circulation desk. A wide range of programs are being planned to dovetail with the themes which are integral to the story. For more information about how your book group or organization may get involved, contact Christy Billings, cbillings@russelllibrary.org or call (860) 347-2520. Wednesday, May 24, 5:30pm – 6:30pm. Meeting Room 3, Russell Library, 123 Broad Street, Middletown. Women of all nationalities are invited to come and meet other immigrant women in order to help one another adapt to American culture. Get help with local resources and network. Share stories and tips and make new friends. Friday, May 26, 4:00pm -5:00pm. Activity Room, 123 Broad Street, Middletown. Join the fun and multiply your math knowledge with engaging math based activities and crafts. The Abacus Club meets on the last Friday of the month. You + program = enlightenment. Saturday, May 27, 11:00am - 12:00pm. The Courtyard, Russell Library, 123 Broad Street, Middletown. No prior experience necessary, and no mats will be used. Our instructor will be Jeff Hush, founder of Food and Movement Therapy and a local instructor of Family Yoga, Tai Chi and Chair Yoga. Come experience what yoga can do to assist you in feeling calmer and also more energetic. Learn how it helps promote a stronger immune system and better sleep patterns. Saturday, May 27, 10:30am - 12:30pm. The Hubbard Room, Russell Library, 123 Broad Street, Middletown. Join Katherine Hauswirth, author of The Book of Noticing: Collections and Connections on the Trail and blogger at First Person Naturalist, for a reading, book signing, and nature writing workshop. The session will start with a brief reading from the book and some thoughts/resources on nature writing, and then the group will part ways so that attendees can spend some reflective time outdoors. We will meet back to write and share what we’ve written (sharing optional). Tuesday, May 30, 12:00pm – 1:00pm. The Hubbard Room, Russell Library, 123 Broad Street, Middletown. Join us for a discussion of Dashiell Hammett's romantic comedy of manners, The Thin Man (1934). When a wealthy inventor goes missing, his daughter calls in wisecracking detective-turned-socialite Nick Charles to find him. Aided by his clever and charming wife Nora, Nick searches for answers amidst martinis and night club romps. Tuesday, May 30, 6:30pm – 7:45pm. Meeting Room 2, Russell Library, 123 Broad Street, Middletown. The above program repeats at this alternative time. Tuesday, May 30, 6:00pm – 7:45pm. The Hubbard Room, Russell Library, 123 Broad Street, Middletown. Join us to hear the true stories behind what goes into training to be a part of a crew team with Peter Belmonte, coach from the Xavier Crew Team and other local coaches. This event is part of One Book on the Riverbend series of events. One Book on the Riverbend is composed of various organizations, schools, and public libraries of Cromwell, Portland and Middletown, Connecticut. Its mission is to promote literacy and community by the joy of sharing a good book. The book for 2017 is The Boys in the Boat: Nine Americans and Their Epic Quest for Gold at the 1936 Berlin Olympics by Daniel James Brown. Copies of the books have been purchased with the generosity of the Rotary Club of Middletown. Books may also be borrowed at the libraries, online or at the circulation desk. A wide range of programs are being planned to dovetail with the themes which are integral to the story. Jeff Hush founded Food & Movement Therapy (famtusa.org) because he wanted people of all ages to know that health is built through our own practices and wise habits--not through medical interventions. Food is information; by using the clearest message possible--whole foods--we give our bodies what they expect and need. Some styles of movement reinforce the natural architecture and flow of the body: T'ai Chi and yoga top the list--they are also the most extensively studied in medicine. Hush has been using whole foods and practicing tai chi and yoga since 1980. He has invented--and teaches--new styles of Chair and Standing Yoga: fit for all ages. · Database help for student’s homework, grant-seeking, genealogy, self-improvement, investment and small business development, Social Media, Email and ways to control your inbox. Tuesday, May 16, 2017 - 2:00 pm - 3:30 pm. Meeting Room 3, Russell Library, 123 Broad Street, Middletown. This class is designed for those new to word processing. Learn how to create, format, save/open and cut/copy and paste documents. Basic keyboard knowledge is desirable. Prior use of mouse is required. Adult, Registration is requested but not required (860) 347-2520. Sponsored by The Russell Library Job and Career Group, The American Job Center, and the Family of Thomas J. Regan. Tuesday, May 9, 2017, 6:00 – 8:00 pm. Hubbard Room, Russell Library, 123 Broad Street, Middletown. We all know that job search is filled with rejection. Sometimes it's the long silence that happens after you've answered an online posting, other times it's a polite "No" after you've been through a series of interviews. And in between, you've probably experienced other types of rejection: a good friend who won't return your email, a recruiter who called you but now won't return your calls, and so on. So what can you learn from it? It is ever helpful? In this interactive session, explore the ups and downs of rejection, strategies for managing it, and how to use it as a compass. Sponsored by The Russell Library Job and Career Group and the Family of Thomas J. Regan.